Feeling tense, anxious, overwhelmed and out of control? Here’s a simple method to calm yourself, without meds, in literally seconds. Breathe all the way out. The usual response when someone expresses anxious feelings is to tell them to take a breath. Looking for anything that might help, we do exactly what we’re told. We take a big breath in. And another one, and we keep doing it. That creates a new problem. The problem is that once we’re anxious we’re not breathing normally, so each time we take a big breath in, we’re not fully breathing out. Which means that sometimes we end up hyperventilating – feeling like we just can’t get a full breath. Because we can’t. When we don’t breathe all the way out, we’re not emptying our lungs for the next breath. And we end up with an imbalance of oxygen and carbon dioxide, which results in the release of more of the stress hormones (cortisol, norepinephrine, adrenaline) that we’re trying to calm down. So next time you feel yourself losing it, or even mildly anxious or triggered — you’ll know you’re any of those things because your body will feel all balled up and tense — just breathe. But instead of taking a big breath in, breathe all the way out. For added benefit, At the same time, soften your body. Relax and soften your face and jaw, drop your shoulders, and relax your chest and belly. All the while keeping your attention on following each out-breath to the very end. Don’t worry about the in=breath, it will take care of itself. I’ve been practicing this way of breathing for many, many years. My attention is always on my out-breath, not my in-breath. The more consistent and natural this way of breathing and managing my body has become, the less anxiety and stress seem to run my show, I have taken away the fuel that fires them up and keeps them burning and building. Play with it. If you have kids, let them in on the secret too! I’d love to hear what happens when you give it a try! Yes, totally with you that when you’re practicing breath work starting with a deep in breath makes sense. 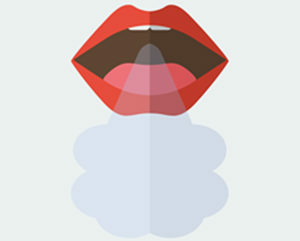 Andrew Weil suggests breathing in to a count of 4, holding for a count of 7, and breathing out to a count of 8. I just recently read another recommendation — in 4, hold 6, out 7. And when you breathe in to a count of 4, that’s definitely a big breath. Here I’m talking more about when you notice you’re triggered, not practicing. Body is tight and you’re probably hardly breathing at all lol. Starting with the out-breath, though sounding counter-intuitive, sets the process in motion for your brain to get used to the habit of focusing on the out-breath. It sounds impossible, but actually you might find that you always have enough breath to experience a long out breath? And in these situations, the in-breath just seems to take care of itself. Sometimes it wants to be a big breath, sometimes a small one — the thing that matters is following the out-breath to the very end while relaxing your body, as you said. Robyn , this was a good reminder for me. I learned this stress relief breathing 35 years ago. It does really work but it is not an overnight realization. I started out practicing this new breathing for a minute or two every hour or two for a couple of weeks. I discovered my normal breathing range was somewhat shallow. I also learned I needed to make a conscious effort to soften or relax my body. I try to practice both these tools several times throughout everyday! It feels good to do even when I’m not stressed or anxious. I like to turn off the radio in the car or shut the TV off and pamper myself for just a few minutes. I like to add in some pleasant thoughts at the same time. Hi Frank. Glad it was a good reminder for something you’re already familiar with. And like you I practiced and practiced before it became a normal way of breathing. Like you, I was a shallow breather. And yes, when you’re practicing or taking a moment to pamper yourself — it’s lovely to add in some pleasant thought distractions. When triggered or anxious, not just practicing breath work, ideally the goal isn’t to change the feelings from uncomfortable to happy. The goal is to simply be with the feelings by breathing out and softening into the feeling sensations in the body, so they can have their natural organic life and leave as they will do when we don’t attach negative or critical thoughts to them. I live by reminders lol! Post-its, index cards, and writing Seedlings :-). And thanks for the well-wishes Nancy. Every day a little movement forward! To this day I use a technique that you recommended: put your tongue on the roof of your mouth when breathing out. Not only do I release more air, but concentrating on this little trick alleviates some anxiety. I love that you remember that trick Kathy! It’s the oddest thing — doesn’t seem like it should make a difference – having our tongue on the roof of our mouth and breathing out with mouth slightly open – but it does!